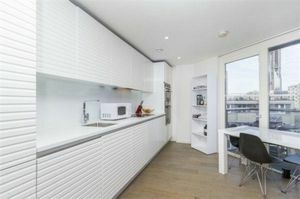 A stunning new two bedroom apartment on the second floor of this recently completed sought after portered development, in the heart of Clerkenwell . The apartment benefits from a generous open plan reception/ kitchen with access to a decked balcony with glass balustrade, a contemporary kitchen with integrated appliances, ceramic touch button electric hob and oven, fridge-freezer, full size twelve plate setting dishwasher and washing machine. 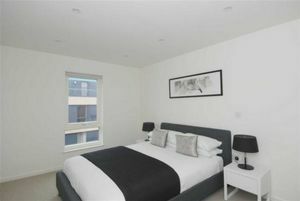 A large mirrored bathroom, with neutral suite includes a heated towel rail, corian vanity top and purpose made cabinet to include chrome shaver socket and sensio down light, and two spacious bedrooms with floor to ceiling walk in glass fitted wardrobes. 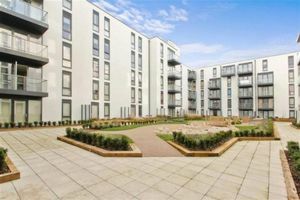 The development also benefits from a communal roof top garden with views of the city and beyond and an excellent ground floor communal Garden. 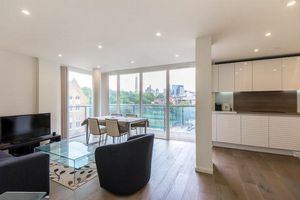 Under floor heating through hard oak grey mist timber flooring is laid throughout, the apartment also comes with secure parking within the development. 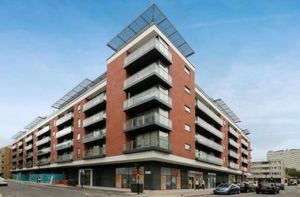 Clerkenwell Quarter offers a plethora of transport options via Farringdon, Barbican, Old Street, Angel Islington and Kings Cross international. 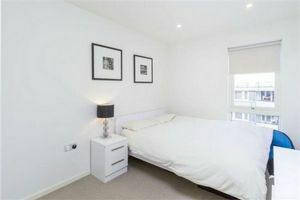 The property can come furnished or unfurnished and is available now, viewings are highly recommended.